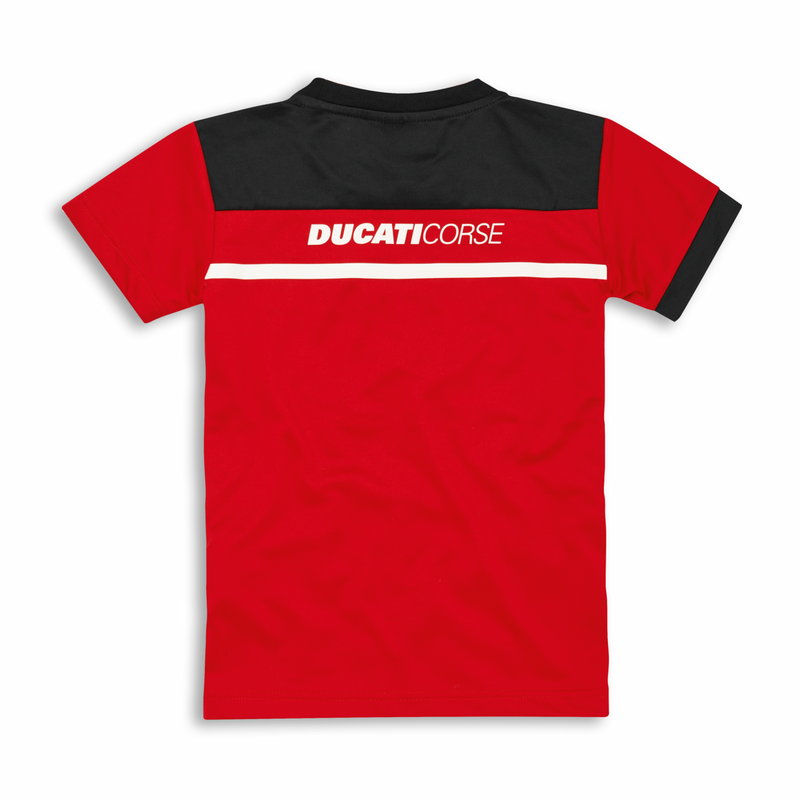 T-shirt in the Ducati red of the legendary Borgo Panigale house. The fabric has undergone the Aquamove treatment to promote optimal transpiration. To get the passion from an early age.